We’d love your help. 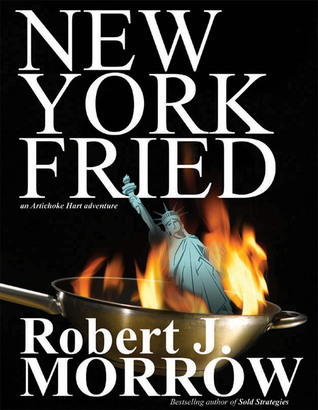 Let us know what’s wrong with this preview of New York Fried by Robert J. Morrow. Foreign delegates descend upon a small town in upstate New York to view the "next big thing". It allows nationwide access to the internet, without cable, phone line In 2012, President Obama signed an executive order mandating that during a national emergency, Homeland Security will take over all communications. Foreign delegates descend upon a small town in upstate New York to view the "next big thing". It allows nationwide access to the internet, without cable, phone lines, or wireless towers. And it's virtually free!. To ask other readers questions about New York Fried, please sign up. Robert J. Morrow spent four decades in marketing, advertising, journalism, fitness, and real estate, before becoming a full-time author. He is also a Taekwondo instructor, avid reader, and tennis fanatic. He lives with his life partner, Susan, and cats Leo and Mamma Mia in Southern Ontario.